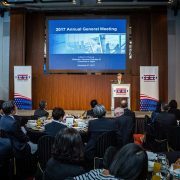 The American Chamber of Commerce in Taipei held its 50th annual Hsieh Nien Fan banquet on March 21st in the Grand Ballroom of the Grand Hyatt Taipei. 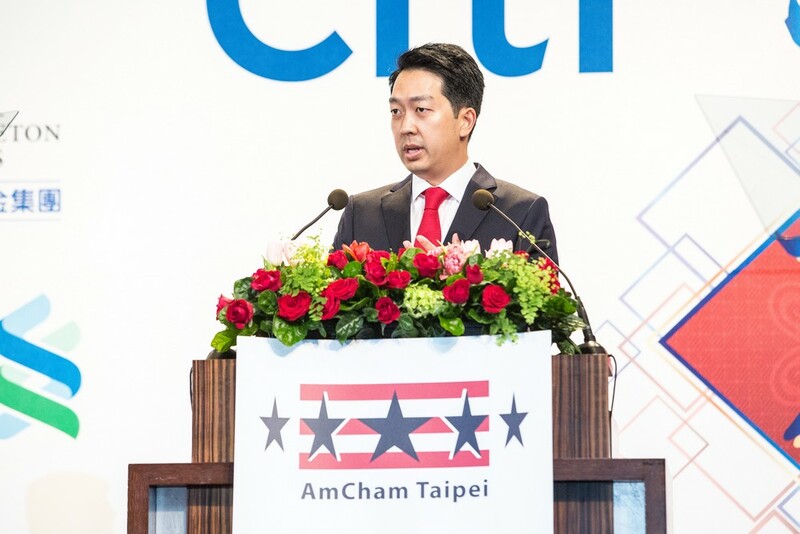 AmCham Taipei Chairman Albert Chang opened the evening by expressing thanks to Taiwan government officials, the American Institute in Taiwan (AIT), and other friends of the Chamber for their shared support in strengthening the US-Taiwan partnership. Good evening! 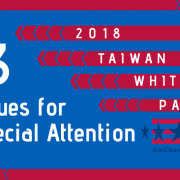 Madam President, AIT Director Moy, Deputy Assistant Secretary Wong, and Distinguished Guests, welcome to AmCham Taipei’s 50th Annual Hsieh Nien Fan. This is a historic night. We have over seven hundred people here tonight – this is more than we have ever had in half a century of history! We are also joined tonight by Alex Wong. Alex is a dear friend. We met ten years ago when we were together at Harvard Law School, and he is one of the smartest people that I have ever met. And so when I called him several months ago inviting him to Taiwan, I was really happy that he accepted, because I am so happy to see my old friend again. Then when I woke up this morning, I saw a hundred articles about his visit here and the Taiwan Travel Act, these Rockstar pictures. You know Alex, please don’t go getting a big head now, the timing is just a coincidence. 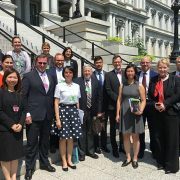 But to be sure, Alex is also the most senior State Department official covering Asia that we have ever had joining our Hsieh Nien Fan in fifty years. Isn’t that amazing? But, to be honest Alex, with all the personnel changes on Twitter these days, we weren’t sure if you would actually make it. 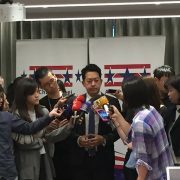 We also want to welcome AIT Director Moy. 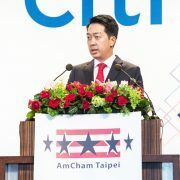 Kin Moy is also someone that has become a true friend of AmCham. His genuine passion for Taiwan and his sincere outreach to the community have left a legacy that will be remembered for a long time. We also want to welcome the one hundred government officials here tonight. We are honored to have President Tsai Ing-wen, with us as our keynote speaker – thank you for joining us Madam President. We also welcome almost every Minister and senior official from all branches of government. But don’t worry, you can enjoy your dinner this evening, because, after a year of work, out of the eighty issues raised, we have now solved……five. It’s OK everyone, we still have a few more months to go. Jia You! In all seriousness, there is a lot to celebrate. Fifty years ago, per capita GDP was less than US$400, today it is over US$22,000. Exports were about to exceed US$1 billion dollars a year for the first time ever. Today, Taiwan exports that much in one day. Taiwan’s economic story has been a miracle. And it is only because of that miracle that today, our Business Climate Survey shows that over 80% of our member companies say they are confident that their revenues will grow here over the next three years. Over half say they plan to increase their employment this year. Citibank’s main site in Taipei is among its busiest in the world; Corning and Micron both maintain their largest international operations in Taiwan. 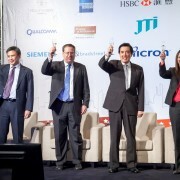 For McKinsey, Microsoft, Google, Cigna, and many others – Taiwan is one of their central hubs in Asia. 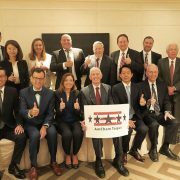 Costco’s Taichung store is the company’s global leader in customers and sales – I hear when everyone in Taiwan was rushing to buy toilet paper, Costco was the only place that had any left! That’s amazing! 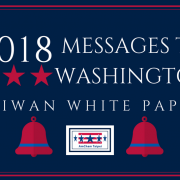 But, despite the accomplishments over the last fifty years…we all share this underlying sense…this nagging feeling…almost among all of us…that Taiwan could be so much more. We all imagine a Taiwan in ten years that looks different…where starting salaries are on the rise rather than at the same level as they were three decades ago…where talent flows inward from all corners of the world rather than only outward…where Taiwan is the place for foreign investment, home to ten times more international companies, thought of in the same way as a Hong Kong or a Singapore – as the place in Asia to invest and the place from which to do business in Asia. But we know that image we have for a future Taiwan is not what Taiwan looks like today. 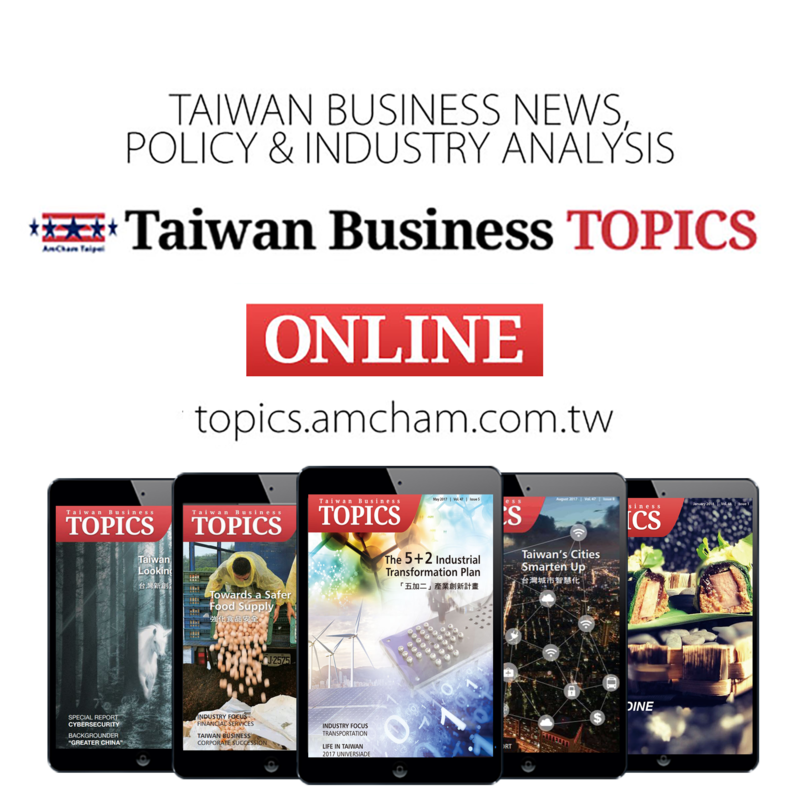 Because the truth is, if Taiwan wants to be at the center of gravity of a 21st century economy, then it needs a 21st century labor and regulatory system. And here, there is more work to do, in 3 areas. First, on regulations, 60% of our member companies believe we need more policymaker engagement with the private sector in setting regulations. Second, on labor, 90% believe that in an innovation-based economy, professional and managerial talent should be exempted from the labor law. And third, on the White Paper, there is wide consensus that if we just met global standards, putting us on par with Japan or similar developed economies, then we’d solve most of our 80 issues. What this tells us is that we need deeper partnership between the public and private sectors. And we need to see labor and regulatory breakthroughs that will spur 10x more investment here. In the spirit of that deeper partnership, we are excited to announce that AmCham has proposed to the Administration that we jointly create an Industry Summit Council. This Council’s aim will be to attract more investment to Taiwan under the pillars of 5+2, and to facilitate the breakthroughs in regulatory improvements to make that possible. 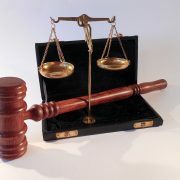 We are excited to roll out the details shortly. I believe we are all here tonight for some reason. Almost 50 years ago, my parents left Taiwan for the US as young students. My dad was a top student here, and when he first arrived to the US, he almost lost his scholarship because he struggled with his English. Fifty years later, as one of four children, I came back here. And I came back because I believe that there is something special about this place. Because I believe Taiwan’s economic miracle is not over. And I think if we look around this room, that’s a belief we all share. 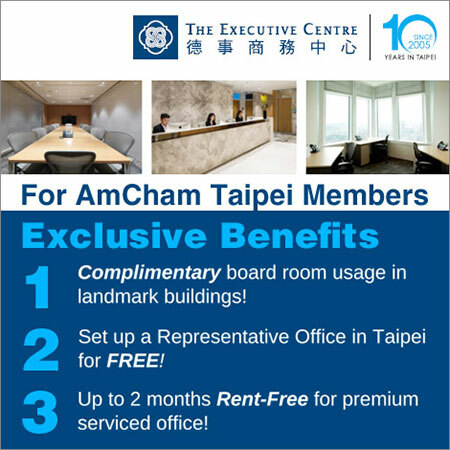 This idea that Taiwan has not yet reached its full potential. But that it is within reach. 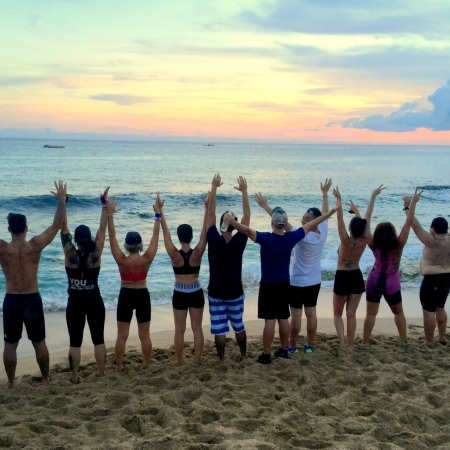 And if we are going to have any chance to get there, we will have to do it together. That is our shared belief, and that is what binds all of us in this room tonight. To President Tsai, Director Moy, and DAS Wong, let me extend our warmest welcome to you, and invite you to join us in this vision of deeper partnership together. Ladies and gentlemen, please join me in welcoming, Her Excellency, President Tsai Ing-wen.